The Ballad of Pat Tillman by Vic Sadot (5:42) Truth Troubadour YouTube Channel. Pat Tillman would have been 41 this year. (RIP 11-06-1976 to 4-22-2004). Please share the YouTube video and the free song at SoundCloud mp3 audio of the soundtrack! “Hope you like and share this 2017 version of “THE BALLAD OF PAT TILLMAN by VIC SADOT”. “The Ballad of Pat Tillman” video that was created by Co-Producer Dean A. Banks 11 years ago in 2006 when the song was first written now has 15,099 views as of Pat Tillman’s 41st birthday! Thanks & Congratulations to Dean A Banks for creating the video that begins with a trumpet and drum roll at the beginning. With your help, this new 2017 version has great potential for getting as many or more viewers! Pat Tillman was prominently in the news recently when President Donald Trump made a tweet attempting to shame and intimidate NFL football players who kneel during the national anthem to protest the situation in the USA today, such as increased police murders of Black men, the vast prison-industrial complex, and all that comes justified by the “war on terror”. The new video updates a lot when compared to what we did in 2006! The Ballad of Pat Tillman (2017) includes the statement by Pat’s widow, Marie Tillman, defending the First Amendment and asking the President to not politicize the death of her husband. We got that in there too! We also have a much sharper focus on the 9/11 wars without going too graphic. We found a photo of the US Army investigation team at the site where Pat Tillman took three bullets to the forehead at 10 yards range according to the coroner’s report as the AP story said in the distinguished Editor & Publisher Magazine back in 2006. Furthermore, what we know now since there were investigations proving that the Rumsfeld-led Pentagon lied to the family and the public. We have a photos from the death scene investigation, the Congressional hearings, and the memorial service. Brother Kevin who was in Afghanistan when his brother was killed; mother Mary Tillman who pressed the Pentagon to release documents that led to the change from death in combat to death by “friendly fire”; and Jessica Lynch, who was also exploited for propaganda purposes and worked to expose the truth. The Pentagon brass did not even mention “friendly fire” to the bereaved family til many weeks after Pat’s death and after the widely-broadcast memorial ceremony featuring war hawks such as Sen John McCain and Pentagon officials. Can you help us to get this video seen? Share the link and mention the video in your emails or in social media? We’re counting on you guys! 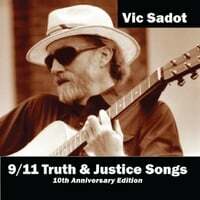 The Ballad of Pat Tillman was released on 9/11/11 on a CD titled “9/11 Truth & Justice Songs” at CD Baby.